Click here to skip the Introduction and proceed to book links in English. The prime, and virtually obligatory, objective of this website is to shine light on the turbulence that has prevailed in Galicia during the 20th century. From the onset of World War I until very recent times Galicia, like all of Ukraine, had been shattered by the relentless onslaught of foreign, hostile powers that aimed to seize her wealth, enslave her native peoples, obliterate her character and extinguish her distinct national identity. From the north and the east - aggression by muscovite Bolsheviks, those "better friends" of Ukraine who massacred Ukrainians by the millions. Concurrently from the west there came arrogance and invasion by our neighbours, the Poles. The Poles: a nation that ought to have been Ukraine's natural ally in her struggle against Muscovy  and the Ukrainians theirs, against German aggression. But instead, as remarked by Dr. Wasyl Veryha,  they dreamt about a Poland "from sea to sea"  from the Baltic to the Black sea, in which Ukrainians were to be held down to the role of servants. What difference for Ukrainians, then, between such plans and the scenario planned for them by another, similar marauder  Hitler. A tragic fate at Polish hands befell Ukrainians in the regions of Lemkivshchyna, Nadsiannia, Yaroslavshchyna, Pidliashsha, and Kholm: destruction of their ancient churches, systematic burning of their villages and widespread torture and murder of priests and other patriots. In modern times, one would call that ethnic cleansing. In the south the Romanians took Ukrainian Bukovyna, and the Czechs seized Carpathian Ukraine. 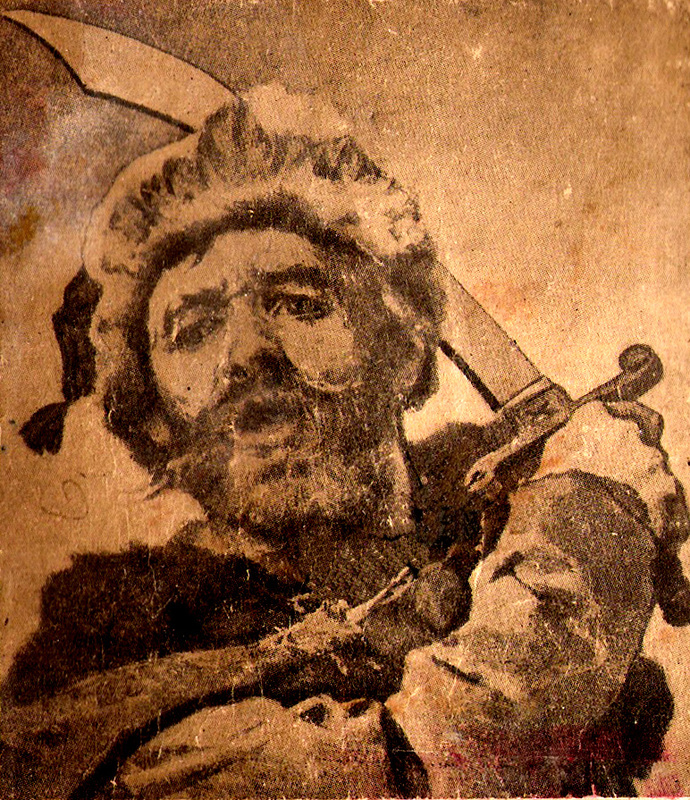 Ukrainian patriots of that time  scholars, authors, artists, teachers and others  were not permitted by the enemy occupiers to work in their appropriate fields. Public leaders of outstanding ability were generally liquidated, and their names calumnied. The millennia-old Ukrainian language of Galicia, and her heritage and culture, were officially deprecated. Galicians, bereft of freedom, were not masters in their own land. In such circumstances the ablest among them either turned to armed resistance and massively sacrificed their lives in battle with the enemy, or fled outside of Ukraine's borders, notably during and after World War II. This latter approach left open at least some possibility of avoiding death, slave labour, internal exile, and the ruination of families at the hands of the most murderous invading totalitarian power in European history, the Russian Empire. As a consequence of the destructive policies of her occupiers Galicia lost her most competent national constituents. Those who had the good fortune to find safe haven in foreign lands, set about without delay to doing that persistent selfless work destined to bind together fellow-emigres scattered over many continents and countries, and to reconstruct, in the diaspora, their culture as well as safeguarding the memories of all that was dear to them, that they had had to leave behind. They built churches, established Ukrainian schools and community facilities, created literary, artistic and musical treasures, and thus advanced the national culture that the plunderers of Ukraine systematically sacked. The present website offers only a brief glimpse of the collective national memory that is preserved abroad, beyond the borders of the land of our ancestors. 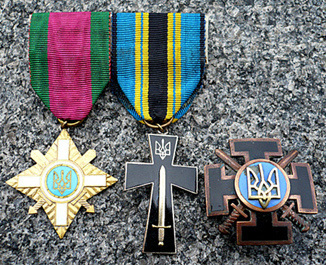 We hope this material will interest not only those who have long been denied access to it; but also any person with Ukrainian roots, without regard to place of residence, who desires to know more about their origins and about their forebears who voluntarily, gallantly and with great ferocity, defended their homeland against the enemy. This material is offered at no charge in its original Ukrainian or English language, in the form of searchable pdf files that may be downloaded and read at the reader's convenience. Where possible, translations are provided. In case of discrepancies, it is the language of the original that governs. . . .bring back from oblivion those small fiery flickers, that here and there had been scattered by Ukrainian hearts, from which in a short time there rose and burst out great flames . . . of national consciousness and pride, of struggle and self-sacrifice for the right to statehood  for the highest ideals of the Ukrainian nation . . . and those flames will now never be extinguished! (Translated from the Ukrainian). In the present (English) section of the site the reader may find the book by Roman Rachmanny on the struggle of Ukrainians for their independence  In Defence of the Ukrainian Cause. More works will follow. All works are searchable. Click here for a printer-friendly Introduction page. Click here to skip the Dedication section and proceed to book links in English. Click to read the introductory page in Ukrainian. I dedicate this website to my parents, Iwan Korol and Stefania Harun. They lived their entire lives holding their own family as their highest value and equally, with great honour and perseverance, served the nation that gave them birth, upbringing and lifelong sustenance: Ukraine. Here, I will introduce to the reader my father Iwan as well as my mother, Stefania. Born in 1900 in Berezhany Region, the village of Saranchuky, Halychyna, Iwan volunteered in 1915 for military service in the ranks of the Ukrainian Sich Riflemen (USS) to defend his home against Bolsheviks and other aggressors. Assigned in the rank of rifleman to the 3rd Company of the 1st Regiment USS, he rose in time to junior officer level in the subsequent Ukrainian Army of Halychyna (UHA) and fought long and valiantly for his people, as attested by his combat medals which we, his family, have preserved. Iwan and Stefania were wed in Galicia in 1933. In due course he was arrested and sent to the concentration camp at Bereza Kartuzka, where the Poles tormented Ukrainian patriots in order to break their resistance. To the end of his days, my father suffered from wounds inflicted on him by the Polish torturers. My parents lived through the tumultous years that led in short order to the maelstrom of World War II. In 1944 they, with a young child, became part of the huge flow of refugees fleeing West. 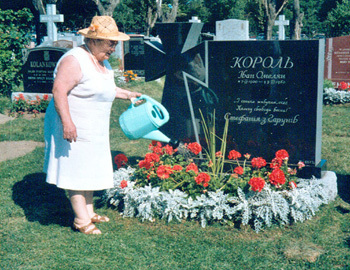 Settling in Montreal, Canada, they  in addition to coping with the essential task of earning a livelihood for their family  for the remainder of their lives gave unsparingly and sincerely of their energies to the Ukrainian cause in the diaspora, as their consciences and their hearts directed. 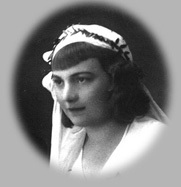 Stefania, born in 1910 as the youngest of the large Harun family of Stryj, in Halychyna, was a loving mother, grandmother, and great-grandmother; and a gifted teacher of the Ukrainian language and cultural heritage in Ukrainian School. For her husband she was a faithful spouse, providing support and sharing with him the good times and the bad. The two are now deceased and their remains repose at Cote-des-Neiges Cemetery in Montreal. May they both rest in peace unto eternity. Click on the icon for the corresponding text. Titles shaded gray are not yet posted in English. 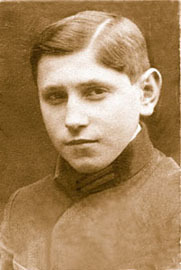 Dr. Roman Rachmanny. Published 1979, 300 pp. S.A. Pidhainy. Published 1953, 240 pp. Numerous authors. Published 1970, 900 pp. (Translation in progress). Dr. Ihor Fediw, editor. Illustrated book. Re-print of 1937 edition and updated to 1955, 209 pp. (Translation in progress). Dr. Wasyl Veryha. Published 2007, 200 pp. (Translation in progress).